Seth Godin's 'Poke the Box' Workbook is the closest thing I've seen to a book that coaches. And he's not a coach. And it's free. Are you built to do big things? Does the world need you? Then get started. 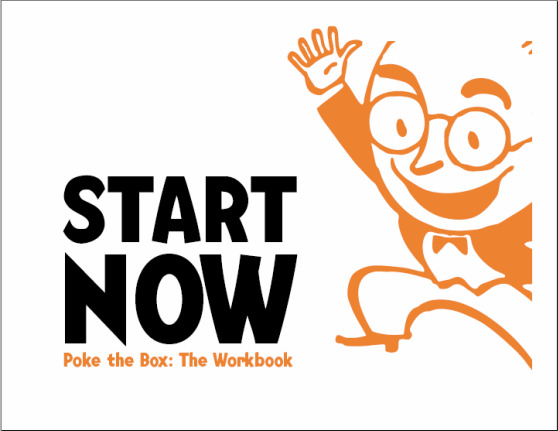 Get Seth Godin's Free Poke the Box Workbook Here. It's that time of year again: When bloggers make predictions for the coming year.Seth Godin trumped us all by whipping out a fake list of prediction for 2008. Guess what? He was right about everything! That's why I'm not predicting. I'm just asking (and suggesting). So here goes. Please post your suggestions, questions and yes, even your predictions in the comments area below. 1. Personal Branding Coach. This is career coaching for anyone who has a job or a business, from Millennials on up (but especially for folks under 30 - or maybe I should say especially for folks over 30). Resume writing and interview skills are still nice, important even, but if you want to land the job of your dreams without working your way up the ladder for oh, 50 years or so, then you've got to cultivate your Personal Brand by blogging and participating in social media, etc. Coaching issues: Integrity: When are you working for the company vs. when are you working for you, Public vs. Private, Adding Value vs. Fooling Around. 2. Simplified Life Coach. This has always been attractive to Yuppies and other affluent folks who are just plain tired of all the stuff they have and now that we're officially in a recession, it's becoming really trendy (just as it always does during a recession), only now that the Polar Ice Caps are melting at break-neck speed, there's an urgency to it, as well. Coaching Issues: Thrive vs. Survive, Being Enough vs. Having It All. Resource: January 2009 issue of O Magazine. See: Back to Basics: Living with "Voluntary Simplicity"
3. Smart Tech Coach. When I tried to describe the smart house/appliance/grid of the future to my older sister, who is a retired teacher, living in a small Midwestern town, she got that deer-in-the-headlights look, cuz there is no way that she's ready for today's technology, much less tomorrow's! I got a premonition of her 9-year-old brainiac grandson having to help her turn on her coffee maker every morning. Not pretty! Boomers and older folks are going to need a lot of help adjusting to the changes that are coming to virtually everything they use. There will be consultants for this - A whole new profession is forming AND we all know how effective consulting can be without coaching skills. There's an opportunity here for techy coaches. Coaching Issues: Resistance vs. Incompetence, Overwhelm vs. Off the Grid. 4. Green Business Coach. Sustainability has been a buzz word for a few years, but not everthing called Green is making a difference, either to the environment or the economy. If it was, people wouldn't be so nervous right now. However, there has been a genuine sea change in 2008 and all predictions point to a totally new way of doing business in the future. What about the business that wants to survive the downturn and thrive in the new economy (That would be every business)? 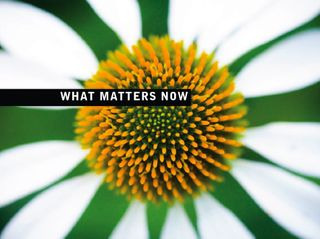 A coach who has an eye on what's happening now and what is coming in the near and distant future, can add incredible value to the business client (from solo-preneur to Fortune 500) of 2009. Coaching Issues: The Bottom Line vs. The Triple Bottom Line, Leading vs. Following. Resources: See the three specialties above, since all three are relevant to the needs of the Green Business. Well there you have four possible hot new specialties for coaching. What have I left out? What about the Texting Coach? Seems like that would be pretty hot for the Gen X client, or younger and more laser than Laser Coaching. Is anyone doing it? Please share your comments. Then there's Video Coaching. Now that we can video IM with Skype and Macs, etc., this seems like a natural fit. Or is it? Will the old-fashioned telephone continue to the professional coach's favorite tool? And what about Webinar Coaching? With desktop sharing, doc sharing, video sharing and more, isn't coaching via webinar a bit of a must, especially for groups? What are your thoughts? Favorite tools, trends, and more? Feel free to comment, below. Alternatively, there's already a great conversation going on this at our Find a Coach website. Kevin Kelly's blog, The Technium, gets referenced a fair amount on the blogosphere and for good reason, he's quite insightful. Today,Seth Godin directed me to Kevin's latest, True Fans, about how a good solid living can be made with just about 1,000 people who really believe in your work. Now Kevin is writing about how artists make it, but what he says is rather familiar. Most coaches thrive and prosper with perhaps an even smaller number of fans. I'd call them Ultra True Fans. This is because an Ultra True Fan will pay a coach hundreds of dollars per month to work one-on-one or in a small group. And it's not unusual for Ultra True Fans to return to the same coach again and again and to buy many of the coach's products, as well. The "big mailing list" myth can be a real waste of time for a coach. Do outstanding work and cultivate great relationships with your all your fans, especially your Ultra True Fans, and worry about becoming a mega star only if it really lights you up. I'm a subscriber to Seth Godin's Blog, because he's a great writer and really "gets" the whole "marketing with integrity" thing that is the only way to become a successful coach. I wish I had written the following post that he wrote for real estate agents. Only I would have written it for coaches during the last recession, when a lot of them needed to hear it. Since you're part of "group B", you might want to follow the advice he gives for real estate agents who are in it for the long haul. Just remember that you'll need to do a little creative customization to make it work for you. But then, you're a coach, which means you're creative and you know how to serve people, right? No brainer for you then! Read Seth's post here and then subscribe.